With the soon to be legendary “roadmap” Thomas Gleixner presented at the 2011 Embedded Linux Conference for the PREEMPT_RT patch series, people are likely wondering what that means for projects like The Yocto Project which make the PREEMPT_RT patch series available as part of a larger integration project. It is our goal to maintain the linux-yocto recipes and git repositories as closely aligned with the mainline kernel as possible. This primary goal sets the schedule for which kernel version will be used as the basis for the next major release. 0.9 released with 2.6.34, 1.0 with 2.6.37, and 2.6.39 or 40 are likely to follow. These won’t necessarily align with the supported PREEMPT_RT kernel versions. We have a few options. First, we could port PREEMPT_RT to whatever the next kernel version turns out to be. Second, we could release a separate kernel tree just for RT. Third, we could just not include PREEMPT_RT when the versions do not align. There is precedent for the first option, and indeed this exactly how we provide a 2.6.34 PREEMPT_RT tree with 0.9 and 1.0. We took the third option for 1.0 and the 2.6.37 tree, preferring to stick with the 2.6.34 version for RT kernels rather than do yet another forward port to 2.6.37, duplicating much of Thomas’ work toward a 2.6.38 PREEMPT_RT. This is time consuming, error prone, and doesn’t contribute to the overall quality of the PREEMPT_RT patch series as it is somewhat apart from that which Thomas releases. The second option, a separate kernel tree, is contrary to another key goal of The Yocto Project, which is to reduce duplication of effort. A separate kernel tree would require duplication of the meta branch, and all the bug fixes, security fixes, and feature sets would have to be applied to each tree. Going forward, our approach to PREEMPT_RT will be as follows. We will strive to align with the official PREEMPT_RT releases. When that is not possible, we will favor skipping RT support in a kernel version or two just as Thomas does with PREEMPT_RT. In very rare occasions, such as with the 2.6.34 kernel, we may opt to forward port PREEMPT_RT to align with the current linux-yocto recipe’s base kernel version. As if the arrival of the final components for Rage wasn’t enough tech debauchery, the present trucks also delivered a shiny new QNAP TS-419P+ and 4 Samsung Spinpoint F2 1.5TB drives. Devon helped me unpack everything and carefully mount the drives in their trays. He even helped me plug it in and start the initial setup process. The QNAP packaging and physical documentation is simple, nay, spartan. Which I like. The device itself is smaller than I expected (always nice) but I was disappointed to find a separate power brick instead of a built-in power supply – this educed my excitement about the compact size of the unit a somewhat. The recommended “Linux Setup” was to connect a PC directly to the NAS and configure your networks to talk to eachother – this didn’t appeal to me, so I just looked up the QNAP IP on my dd-wrt router and followed the directions for Windows and Mac – just without installing a qnap finder application. Here you can see the volume management screen – and an ascending time remaining field in the Status column. I really don’t know how I’ll partition things up, or if I even need to. The QNAP offers a _ton_ of flexibility in how you access your data. I’ll need to spend a good deal of time considering them before I make a final decision. I’ll reserve judgement on these features until then. And finally, QNAP offers add-on packages in the form of QPKG, which oddly enough includes an IPKG application for even greater selection of packages. There are several media streaming servers available, including one that is pre-installed. The installation process appears a bit cumbersome, requiring the user to download the package to a PC and then upload it to the NAS for installation. I am looking forward to installing Python, possibly Twonky, and maybe MySQL and WordPress (I’m considering moving this blog away from Drupal and to something else). So for now, my QNAP is resyncing its RAID 5 array. I hope to have the time to explore its many features soon, and I’ll share my experience as I do. My initial impressions are good, and I’m optimistic that this will turn out to have been a good choice for our needs. The present truck(s) were good to me today. I received the two Intel Xeon x5680 CPUs, the two Seagate Barracuda 1TB drives, the Intel 160GB G2 SSD, and the second heat sink. The SuperMicro hot-swap trays don’t allow for mounting 2.5″ drives, so I had to mount the SSD in a 3.5″ bracket in a 5.25″ bracket. Lame. As I mentioned in my last post, the first CPU cooler’s fan conflicts with the rear chassis fan. Since I had to choose between the two, I chose to keep the larger (quieter) chassis fan, but I connected it to CPU 1 FAN instead of the FAN 5 header. This is a guess on my part, but I figure the CPU is first thing to get hot, and the most valuable component in the system, so it makes sense to me to let its temperature determine the fan speed. This may cause problems however as the fan speed used by the CPU 1 FAN is probably not appropriate for the larger fan, and I don’t know how removing the FAN 5 connection will impact how the system decides to use the forward fan (which is smaller, and louder). Any insight readers may have here is very welcome. Initial power-on is always exciting, this was no different, perhaps more so. After pressing the power button, Rage jumped to life like a wild beast startled from slumber. Her fans roared and her many bright beady eyes flickered their discontent. 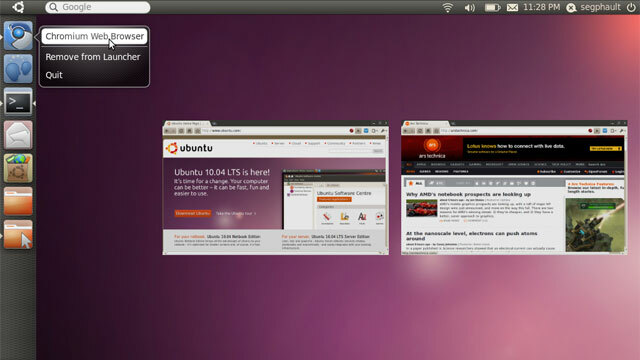 After familiarizing myself with her BIOS settings, I ran a quick Ubuntu 10 install off USB (it was absurdly fast). The BIOS RAID options were confusing at best, and I felt I just might get better results with software RAID via mdadm (at least more control). Rage is currently resyncing a RAID 1 array composed of the two 1TB SATA drives. I’m not sure quite how long this will take, and with her periodic snoring (loud fan bursts), I may just have to force her back into hibernation so my better half can sleep tonight. Just as soon as I can I’ll kick off a complete Yocto build and share the results. Following that, I’ll run some burn in tests to ensure the memory, CPUs, and HDDs are all functioning properly. I haven’t tested IPMI 2.0 support yet (remote access, KVM, etc.) I’ll get to that soon as well. The first round of components arrived for my Yocto Project and Linux Kernel development system. I haven’t built a system like this (piece by piece) since I started using laptops in 2002. I had to learn all the new terms for all the same architectural bits. Spec’ing out the system was an interesting experience, and I learned something about categories at Newegg. Finding quality components can be a real challenge as you first have to sort through all the neon-lights-and-acrylic-chassis-viewing-window-crowd junk. But, there is a short cut – the term is “server”. It’s great, select “Server” to narrow the search for memory, CPUs, and especially cases and CPU coolers and all the teenage-gamer-consumer crap goes away and you’re left with no-nonsense computing hardware. The heatsinks were under “server accessories” and not “cpu fans”. Secondly, I’ll use this beast to continue to work on the futex subsystem, parallel locking constructs, and real-time. When it comes to catching locking bugs or identifying bottlenecks – there is simply no substitute for core count. When it isn’t busy with either of the above, I hope to use this system to build and test the mainline and tip Linux kernel trees. Back to the assembly. For this stage, I only have the chassis, motherboard, and memory. I’m having to wait a bit on CPUs and disks. The assembly was straight forward, but I obsessed about airflow and cable management. Supermicro matches their chassis to their motherboards, so the usual time spent mapping and aligning every LED and switch connector was replaced with single ribbon connector – very nice. I still read through the manuals to make sure I was getting everything right. Turns out the motherboard has a built-in speaker where the manual says the speaker header should be, fine. There is some ducting to keep air flowing from the front of the chassis, over the motherboard, and out the back. I made sure I routed the SATA cables clear of that. Finally, the 665W ultraquiet PSU is not modular, so I had to find a place for all the cables I didn’t use while minimizing obstructions to airflow for the chassis and the PSU itself. Some careful bundling and a couple wire ties seems to have wrapped that up nicely. I also discovered that CPU1’s fan conflicts with the rear chassis fan. I have a choice: I can remove the rear chassis fan, or I can remove the fan from the CPU heatsink (which was made easy by Supermicro). I’m somewhat disappointed in Supermicro here. This is their motherboard, with their recommended CPU fans, in their recommended chassis. Fortunately, the rear fan is immediately behind CPU1, and likely moves as much, if not more, air with less noise. If I do remove the CPU fan, do I connect the chassis fan to the CPU1FAN header, or leave it connected to the generic FAN5 header? I was pleased that both chassis fans and the CPU fans are four-wire fans, meaning their speed (and therefore noise level) can be controlled by the BIOS depending on temperature. This motherboard support IPMI 2.0, meaning it has a service processor and a full graphical KVM. I’ll be running this system headless connected via two gigabit links to my home network. I was very pleased overall with the quality of the Supermicro components, they are a significant step up from what I’m used to seeing in consumer computing and while not cheap, they were not particularly expensive either. Only time will tell, but I’m becoming a Supermicro fan… er…. enthusiast.